in the game of Chicken that is the secret swap. Having convinced myself that my partner really didn’t care for my first offering, I spent the morning making an alternative. It’s a teeny version of the magnificent Sparkle Punch Quilt. 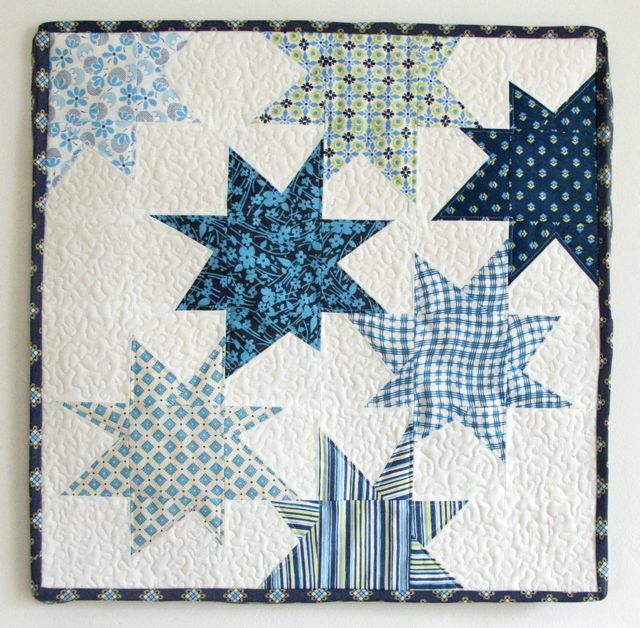 I would love to make a full sized one of these – the blocks are such fun to make! I haven’t sewn the binding down yet. That’s why it looks weird. My husband is convinced I am overthinking things. Silly man, I would never do that. I was simply trying to avoid work.